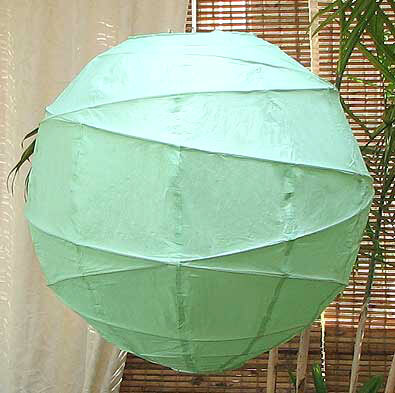 10pcs.-"MARU" Aqua Green paper lanterns are made of rice-paper with bamboo irregular cross ribbing design. These lanterns requires a single socket cord or 10-sockets electrical cord kit(multiple lanterns 8D-14D only). Cord sold separately; please see "Lantern cord kits" for more information.